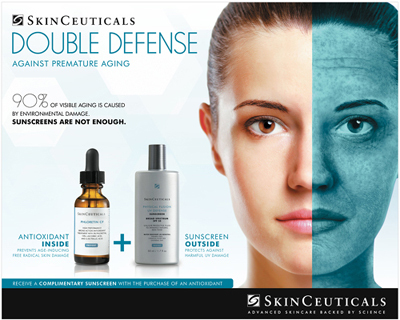 SkinCeuticals Promotion - for a limited time only! Phloretin CF featured in Marie Claire as a "Beauty Must-Have"
Once in the morning after cleansing, apply 4-5 drops to a dry face, neck and chest. (90 days).Follow with SkinCeuticals Hydrating B5 Gel and a SkinCeuticals moisturiser and sunscreen.